He already stole our hearts with his shiny red nose! 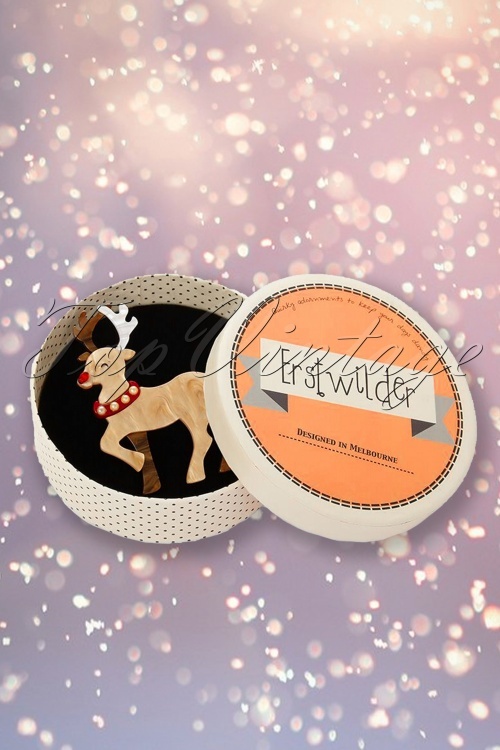 This 50s Guide My Sleigh Brooch is a must-have item for the upcoming holiday season! A guiding glow through the heavy snow. 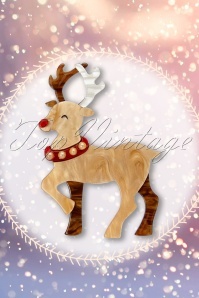 He's Blitzen's buddy, Cupid's chum and Prancer's pal and as far as nosey navigation goes, this guy has it covered. This brooch is handmade, hand painted, made from several layers of resin in brown, red and white. Rudolph with your nose so bright, won't you guide my sleigh tonight!